If you have a cold or flu (influenza) — or any respiratory tract infection (RTI) — see your doctor if necessary and stay at home until you feel better. This helps you to get over the infection faster, and will also mean that you won’t come into contact with others and spread your infection. Having a flu vaccination every year just before winter can help to protect you from getting flu. Each year the flu vaccine will be different, and will contain the most common strains of flu virus that are causing infection. Being vaccinated protects not only you from infection (i.e. makes you immune to the illness), but also protects everyone in the community as a whole, by reducing the number of people who can catch the infections and pass them on to others. This is called ‘herd immunity’. 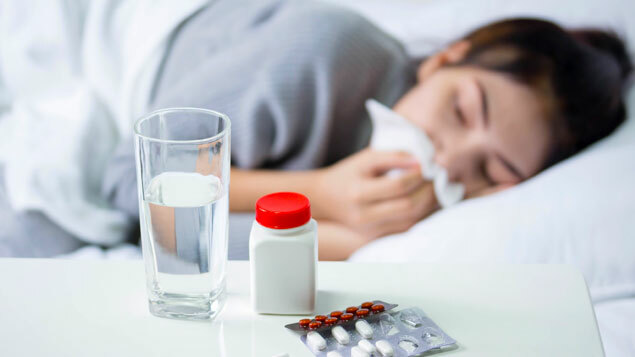 This is especially important for anyone who is at risk of the complications of a flu infection, or if you are in contact with people who might become seriously ill if they get flu (e.g. very young children or older people). Read more about the flu vaccine, who is eligible for free flu vaccines and how we become immune to disease. Keeping your household surfaces clean. Ho do I… cope at Christmas?